This is the second part of my my Assassin’s Creed summary. Part 1 is here; I recommend you read that first for a summary of the ongoing story. As you can see, the story is pretty complex, covering some important and slightly obscure eras of history. On top of that, we deal with an immediate threat in 2012 – tying it to the End of the World 2012 theories. It is one of a few stories that actually grips you, with some amazing characters. What is it I actually love about Assassin’s Creed? Let me break them down one at a time. Main: It’s very important to a game series that is built as a long-term epic, almost like a novel in video game format, that the main characters are compelling, interesting and sympathetic. Altaïr (ACI) is ice cool and largely mysterious – the Boba Fett of the Crusades and we watch him grow into a humble man and saviour of the Assassins Order. Ezio Auditore (ACII, AC:B, AC:R) is sharp talking and witty, a devilishly handsome Italian man from the Renaissance… we watch him grow from carefree boy to troubled yet driven middle aged man, keeping his humour all the way. It is genuinely moving at the end when he comes face to face with the dead body of Altaïr. I’m afraid that I, along with many other, found Connor from ACIII to be incredibly dull. We watch him go from angry boy to reluctant hero of the Revolution, fighting his own war he never really trusts the Patriots but he must stop the Templars from using the British Empire to oppress the colonies. Connor’s father – the Assassin turned Templar Haytham Kenway on the other hand (whom we play as for the first few acts of ACIII) – is intriguing. I wanted to know more about him. Then finally in ACIV we come to Connor’s grandfather and Haytham’s father: Edward Kenway Mighty Pirate. He stumbles into the Assassins quite by accident when he kills an Assassin in the process of defecting to the Templars. He is well drawn a lovable rogue and even more of a maverick than Altaïr. The origin story is well-worn by this point, and this one is quite refreshing. Supporting: There is a whole host of historical figures that give the story body and context: the famous female pirates of Anne Bonny and Mary Read (who posed as a man), Blackbeard, Leonardo Da Vinci, Cesare Borgia, Lucrezia Borgia, even Al Mualim who betrayed the Assassin Order really existed. Outside of the historical setting, Lucy, Rebecca and Shaun make up an incredible and interesting team. 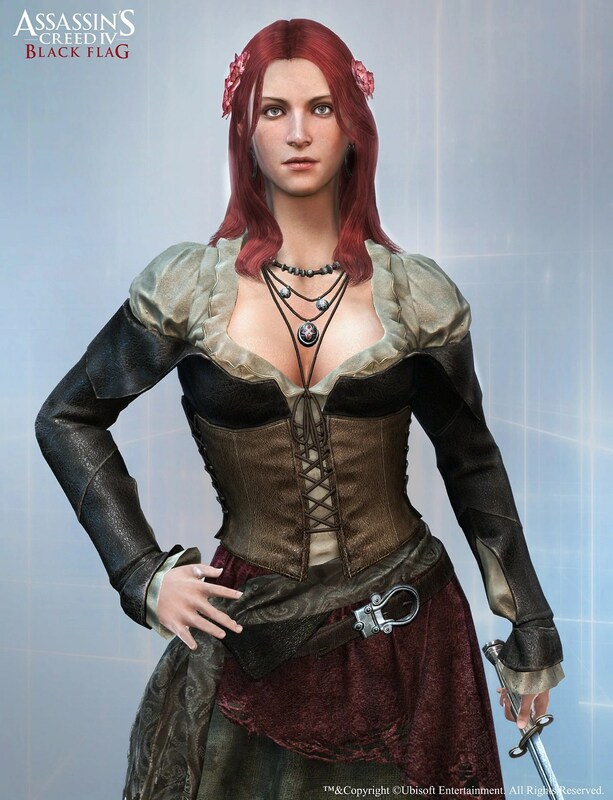 I must admit I cheered a little inside to see Rebecca and Shaun in ACIV. Shaun’s sharp British wit and Rebecca’s chilled out tech genius may seem like stereotypes, but they work. I am a history buff and have an archaeology degree so the prospect of playing around in medieval Jerusalem, Renaissance Florence, early Ottomon Istanbul and so on certainly appealed even without the conspiracies and mythologies stated above. Though most of the time you are playing to the more obscure periods of history, or obscure events of bigger periods, some criticised the increasing “Gump Effect” (meaning each character becomes cringingly important to big world events a la Forrest Gump) – none more so than Assassin’s Creed 3 set during the American Revolution where Connor is present at most of the major exchanges. You’re quite forgiving of it, well at least I am, because it’s a lot of fun to interact with these people: save Richard the Lionheart from betrayal, asking Leonardo Da Vinci to design a new wristblade, fighting against Rodrigo Borgia (quite possibly the most vile of all the Popes) and fighting alongside Blackbeard, Anne Bonney and Mary Read on the high seas. It’s fun in that respect and in the historical narrative, you feel you do learn something about these very real people. They’re all here but the background story is that the ancient gods (largely the Greek Pantheon) were living beings evolving here millions of years before humans. They were technologically advanced enough to create humanity as a slave race and used their technology to control us. The fragments of this technology are called of “Pieces of Eden” and The Apples are mind control devices. Eventually, humans and the First Civilisation interbred. These hybrids (of which Adam and Eve were the first) were immune to the mind control devices. So began a war of liberation until it came to a sudden end around 75,000 years ago when a massive coronal mass ejection almost exterminated both races. What was left of both races interbred, removing most of the genetic traces of the First Civilisation and their sites slipped into obscurity. 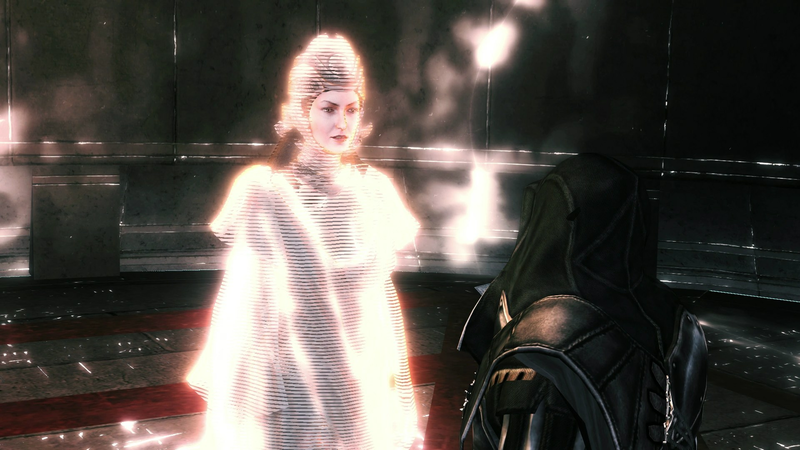 In the modern era, those with the strongest genetic link have the attributes that we understand to be characteristic of Assassin skills – especially “The Sight” (called Eagle Vision in the game) and their mythology is built up around what fragments of history remain of the First Civilisation, worked into narratives of mythology and religion. It’s also fascinating to see how First Civilisation monuments and sites are associated with identifiable real monuments. There’s a First Civilisation site beneath the Colosseum that hides an Apple, another hiding a Staff of Eden beneath the Vatican; and Tulum (Mayan city) has always been one of the headquarters of the Assassins. We visit very real places, explore real buildings and in each case, some of the world’s most important monuments are important either to the Assassins or to the Templars. They’re all here. Every secret society throughout history has had either the Templars or the Assassins behind them. Anything malevolent is usually a front for the Templars in their determination to bring world peace through enforcing order. They have been behind some of the biggest governments and empires in history. They encouraged the Crusades to go on and tried to seize control of the Ottoman Empire. The Borgias were in the highest echelons of the Templar Order and they were also behind the British Empire’s rule of the New World colonies. Desmond Miles learnt all of this during his incarceration at Abstergo, particularly through the software hacks of Subject 16: he placed animus fragments and glyphs into the time period of Ezio Auditore and Desmond learnt just how much these two orders were intrinsically linked to some of history’s major and not so major events. They also invent a few. Revealed through glyphs and other unlockables throughout the game, Julius Caesar was a Templar who had to be stopped and the man to do it was Brutus who was… you’ve guessed it… an Assassin. Even Jesus isn’t left alone. Having one of the strongest genetic links to the First Civilisation and being in possession of a Piece of Eden (The Shroud of Turin), the Templars (influencing the Roman Empire) killed him and tried to seize the Shroud which was hidden until its discovery in the 20th century. 2012: Why was that date important? The Maya it seemed, knew much more than any other race about what happened to the First Civilisation and had calculated that the next would take place on 21st December 2012. In the present timeline, we were just months away and that story came to an end when ACIII finished as Desmond was able to operate the machine to activate the protective barrier. A new story thread began in ACIV and I am looking forward to seeing where it will go next. It’s so engaging on so many levels. Sadly I do not have an XBox One and vowed I wouldn’t get one… and then I heard about Assassin’s Creed Unity and Arkham Knight and now I am torn! I probably will get one at some point now though.